The story of King Arthur and his Round Table of knights has great relevance to modern America in the 21st Century, especially within the context of my new novel, Children of the Knight. First of all, the Britain of Arthur’s time was a fractured, divisive land with disparate groups of peoples like the Gauls, the Gales, the Normans and others vying for power and prestige. In America today, many in the public sector make their livelihood and base their political survival on pitting this group against that group or this race against that one and they never allow for real unity because with unity might come an end to said public person’s career and funding base. The media is even worse, always stirring the pot, often by dispensing inaccurate or incomplete information in the hopes of generating controversy. In simpler terms, divisiveness is profitable. When Arthur became High King of Britain his first order of business was to unite all the distinct groups warring against him and each other, which he eventually did through numerous costly battles. 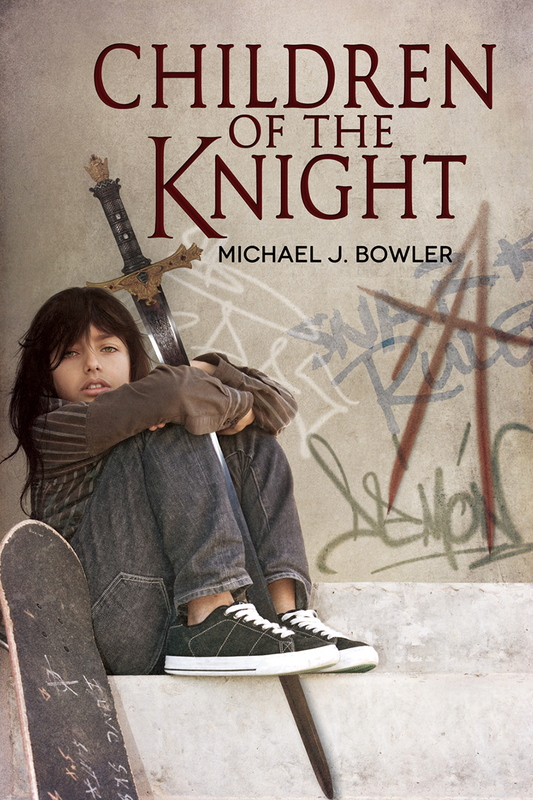 However, once done, he had to keep the peace, so as he tells young Lance in Children of the Knight, “I gave them all a purpose in life other than hating one another.” He brings that same purpose to the warring gangs and unrelated street kids he recruits as his new Round Table in the newly released novel. America of today has systematically failed her children in every area of life, from education to criminal justice to media influences. The one-size-must-fit-all-or-you-can-get-out approach to modern public education is disgusting and antithetical to human nature. Since we can never all be the same, what happens to those kids who just don’t “fit” that one size? They drop out, join gangs or crews, do drugs, make babies they can’t take care of, and engage in all manner of anti-social behaviors they have learned from adults. And what about the war adults have waged against gay youth with their preposterous notion that these kids willingly made a choice to love someone of the same gender and thus willingly chose the hate, mockery, bullying, and marginalization that go with being gay in America today? Let’s face it, there are a lot of stupid, selfish people in this country, and kids are paying the price. In my book, Arthur returns from Avalon and finds all of this discarded and wasted “might” at his disposal, kids no one else wants, most of them boys with a lot of potential energy within them for good or ill. There are a lot of homegirls on the streets, as well, but most gangs are male-dominated because of the sense of empowerment these usually poor, ethnic, marginalized kids desperately seek. Before Arthur, all the combined might of these gangs and street youth has been directed toward the detriment of society because that’s all they’ve been taught by the adult world that raised them. They make war on each other and on the innocent. But Arthur comes along and teaches them discipline through mastery of swordplay and archery, and he convinces them, as he convinced the various factions all those centuries ago in Britain, to put aside their own petty rivalries and use their collected might for right in order to finally gain the power they had previously sought through violence and mayhem. Arthur’s objective is to win the approval and support of the voting public and use that support to take on the feckless, self-absorbed politicians who run Los Angeles. From LA the crusade will then move on to all of California and then to the country as a whole. Its ultimate goal: restoration of the right of children to be children, and human beings, and not the mere property of adults. Will he succeed? You have to read the book to find out. Oh, and why did Arthur come to America rather than Britain? Since his purpose is to save childhood it is also, by extension, to save this most promising child of Britain from itself. After all, a country that fails its children is ultimately doomed to assume a well-earned place on the scrap heap of history.